Paul is proud of his career and has been the DJ for some of the largest local, national and worldwide corporate company’s. Hitachi, IBM, Twining's, The Daily Echo, P & O Cruises, Trants Construction, Southampton Football Club, Bacardi Martini, John Lewis Partnership, Marks & Spencer, B & Q and Skandia, to name but a few. Southampton Legends Mathew Le Tissier & Francis Benali get up close and personal with Paul Mico and his audience at the Concorde Club, Eastleigh, Southampton. The former Saints stars revealed enlightening passages from their careers as well as answering questions on past and present footballing matters. See Paul in action when The Hill Samuel Group flew Paul all the way to Thailand to perform at their belated new years eve party and then later present there own version of the generation game. 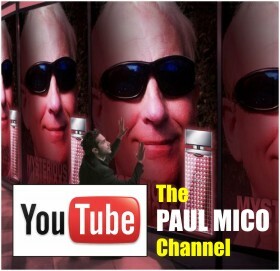 Being able to communicate and work with people of all levels is a skill that Paul has attained, thanks to his vast experience in the corporate market, Paul was selected to be part of the entertainment at Hitachi’s World Seminar in Venice in 2000. because of Paul's outstanding Dj ability and laid back radio presenting style.